K-Guard gutter guards have achieved a reputation in the market for the quality service they offer homeowners, and this makes them profitable products for dealers. However, getting the right leads and making sales is not usually easy, especially for a first-time K-Guard dealer. Many other brands out there promote their gutter guards as the best, which makes a dealer’s work that much harder. The beginning of the spring season is an excellent opportunity for K-Guard gutter dealers because homeowners are looking for ways to prevent clogs in their gutter systems. Even then, learning a few tricks on how to sell gutter leaf-free systems helps. A customer must understand why he or she needs to invest in gutter guards. The way that a dealer presents their K-Guard gutter guards will make a difference. Customers should have compelling reasons to call and order K-Guard systems. K-Guard provides leaf-free gutter guards that improve the exterior drainage of a property. The guards are fully-integrated into the gutter, allowing water to flow through but not leaves or other large debris. A dealer should explain to customers how K-Guard gutters are designed to save a home from leaking roofs, rotting fascia boards, and blocked downspouts. 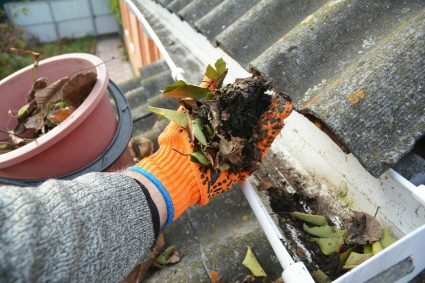 Spring season means a lot of leaves and other plant debris end up on roofs. When all this dirt accumulates, it clogs the gutter system such that when the rain comes, water does not flow as required, leading to the issues mentioned. Explaining this to customers gives them a sense of how much they need gutter guards. A K-Guard dealer should start marketing to potential customers well in advance. Gutter guards are effective in the spring because that is when leaves shed a lot and end up in the gutters and downspouts. For this reason, a dealer should begin placing ads, whether online, print or TV at least five weeks before the buying season. This timeframe is enough to convince customers why they cannot afford to get through spring without K-Guard clog-free gutter guards. Promoting gutter systems to customers early on gives them a chance to know more about K-Guard products before buying them. Early purchases allow customers to make any adjustments to their systems before the season begins. Every dealer knows that discounts, coupons, and other offers work well when trying to drum up businesses. Some dealers have financing options available for particular demographics. Others give discounts to senior citizens. A dealer can also offer bundled specials that include a variety of products and services. One common offer from K-Guard dealers is free estimates for customers. Additionally, dealers can offer discounts on installation services for every purchase. A dealer should analyze the local competition and try to entice homeowners with better offers. The seamless integration of K-Guard gutter guards is what makes them superior to other products. K-Guard systems are built to be efficient at keeping leaves and debris out of the gutters. The construction of the gutter guard guarantees durability and minimal maintenance for homeowners. All these are characteristics that a K-Guard dealer can point out to customers when selling K-Guard gutter systems.